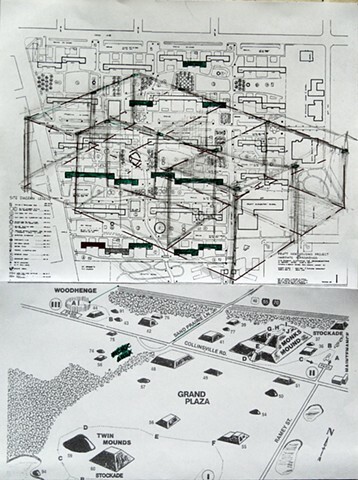 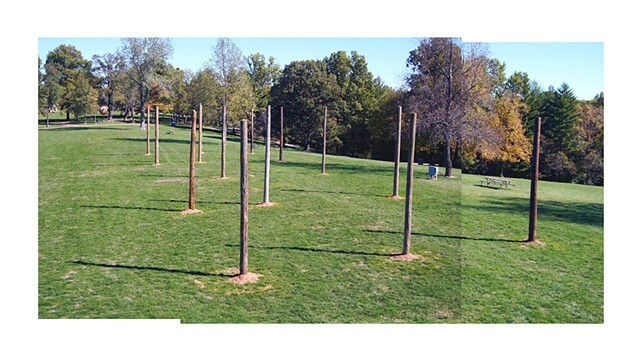 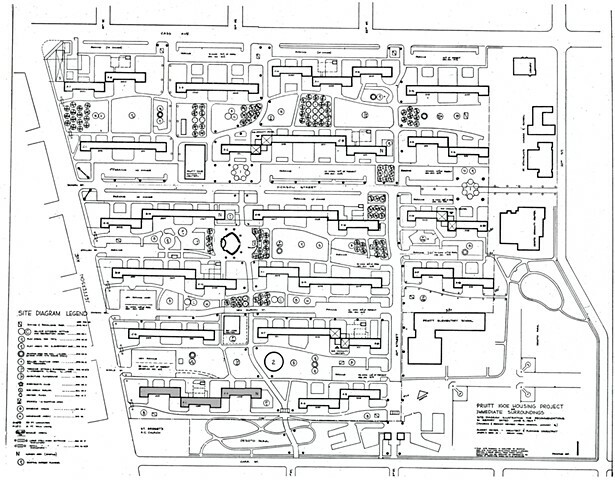 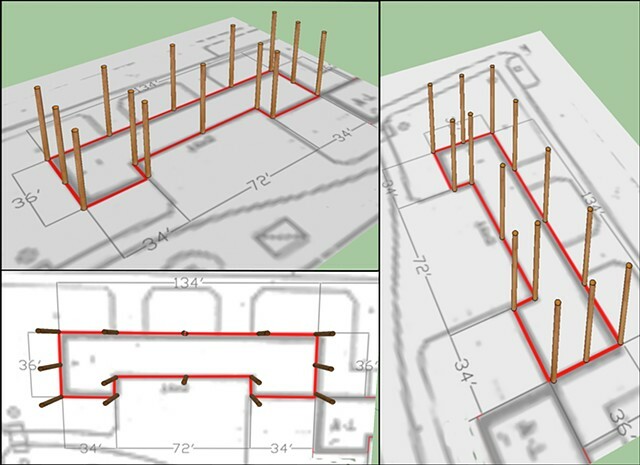 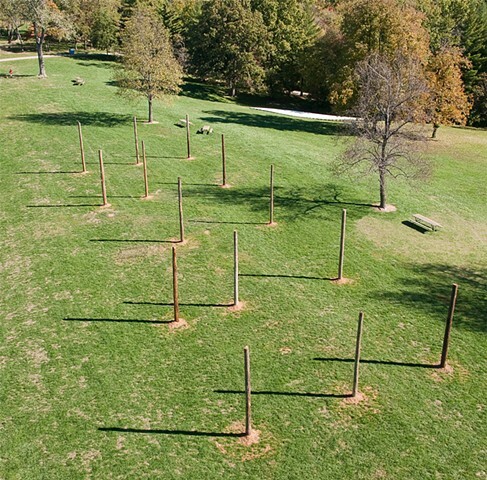 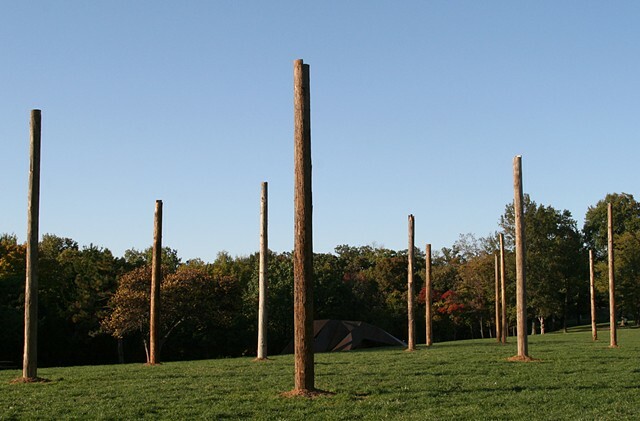 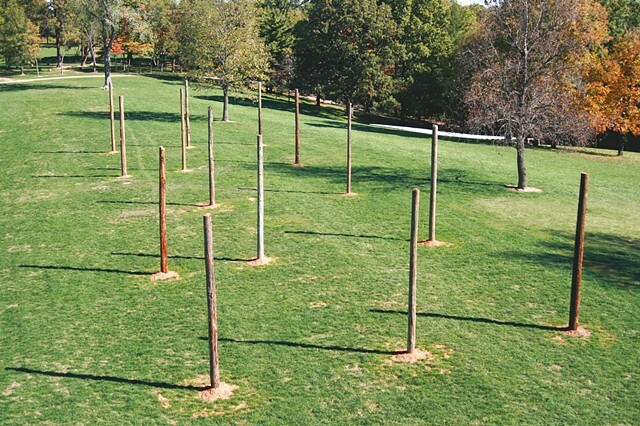 Sacred Real Estate, 2012, assembled from 14 recycled street lampposts are arranged to create a 1:1 scale footprint of a Pruitt-Igoe building, is Chávez’s version of the Native American Mississippian’s “Woodhenge”. 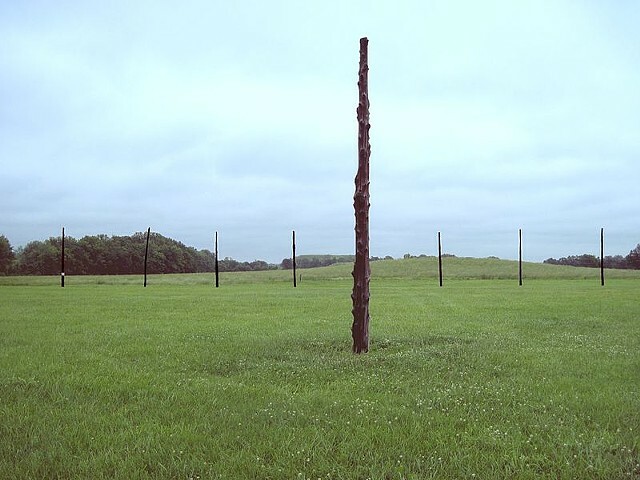 It replicates the form of the contemporary reconstruction of the henge, providing a monumental, poetic echo of the collapsed civilization. 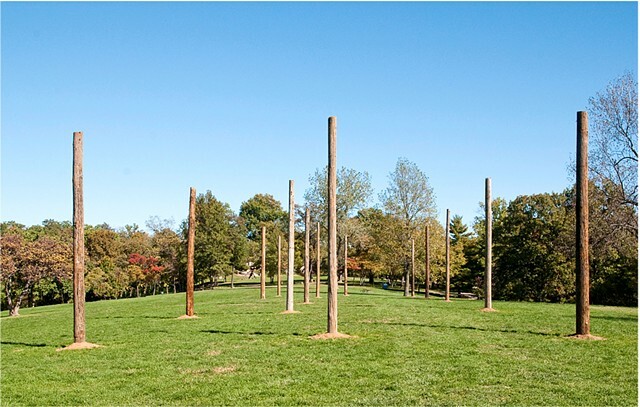 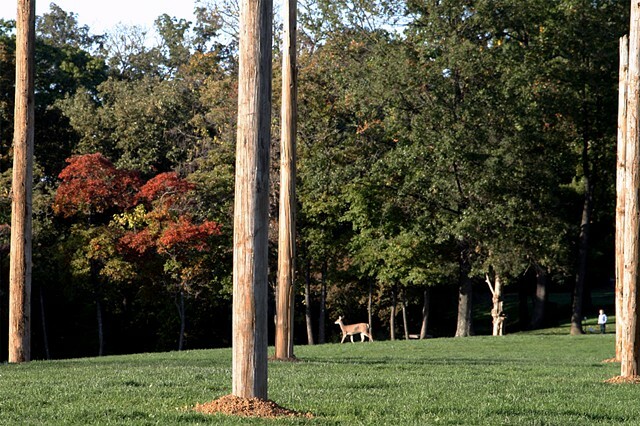 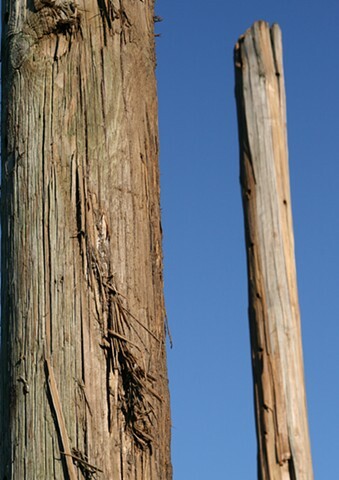 The towering wooden poles compare modern and prehistoric construction that acknowledges St. Louis’ successes and failures acting as both functional architecture and a living memorial.